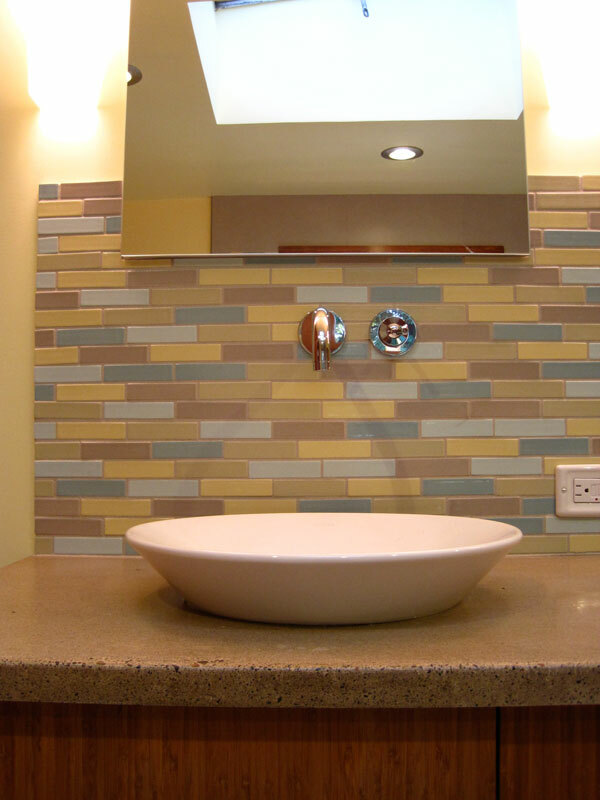 When these clients were lucky enough to purchase their Elmwood home for a steal, they took advantage of the large unused space upstairs, and added a master suite. 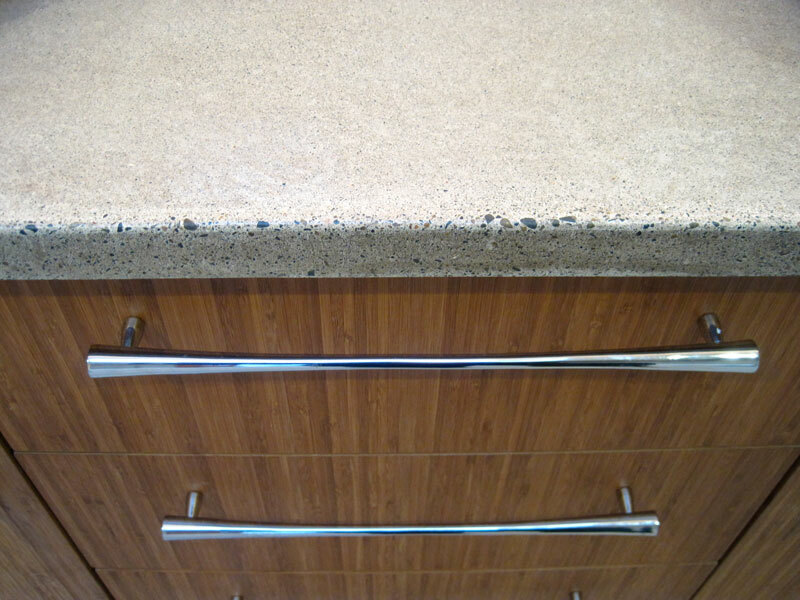 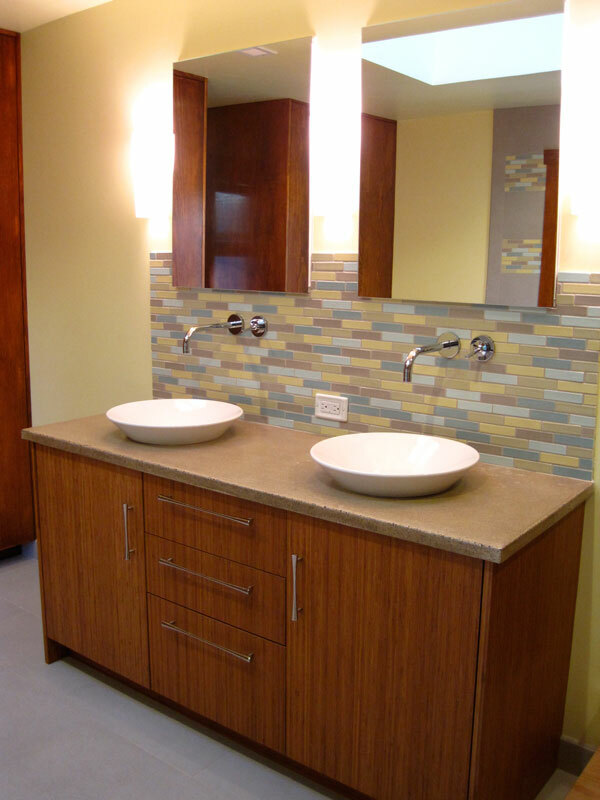 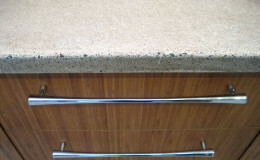 Inspired by sleek, spa baths, we incorporated bamboo cabinets and beach-sand-like concrete counters. 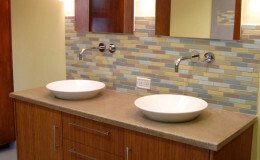 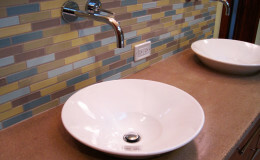 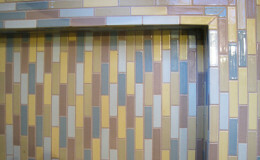 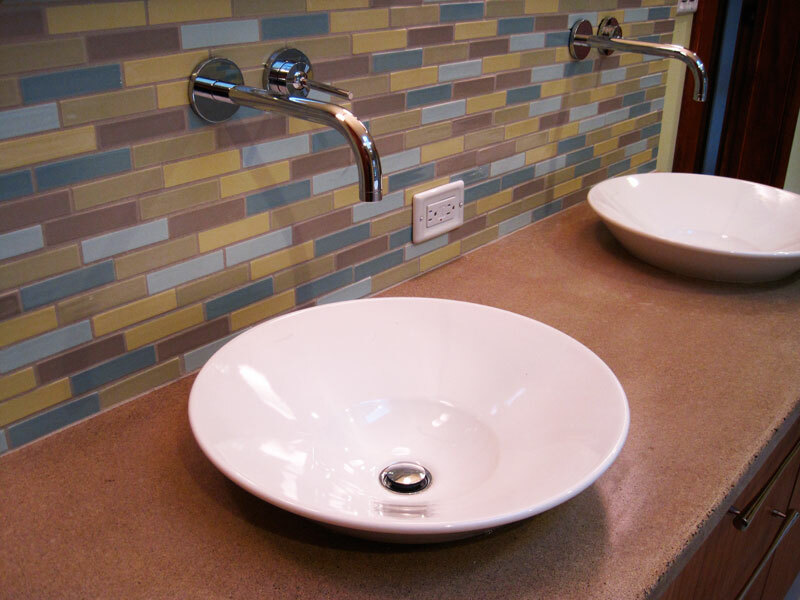 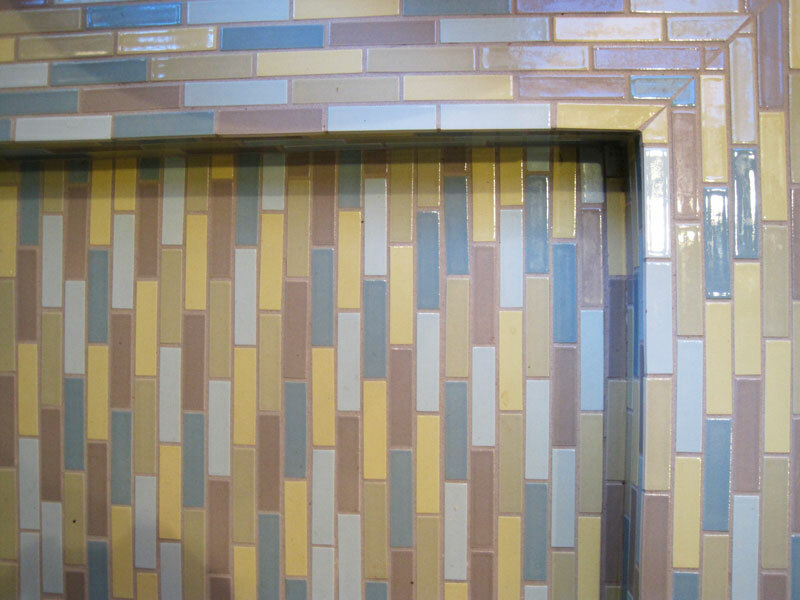 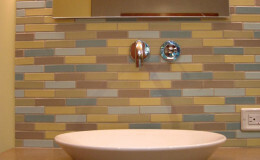 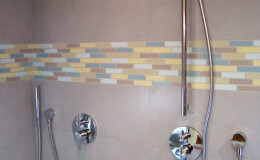 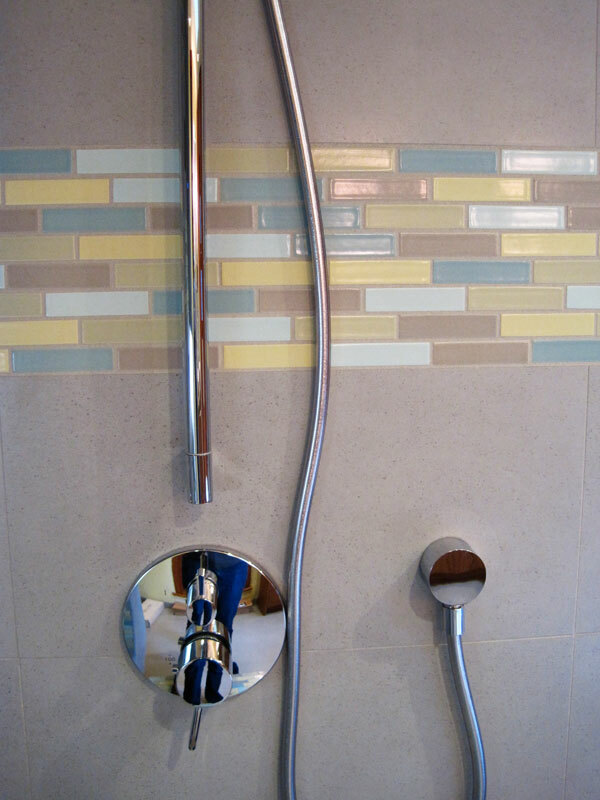 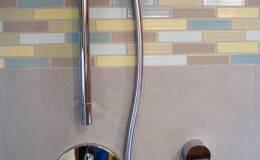 The tile is a custom layout and color blend from Clayhaus Ceramics, and picks up on the form of bamboo. 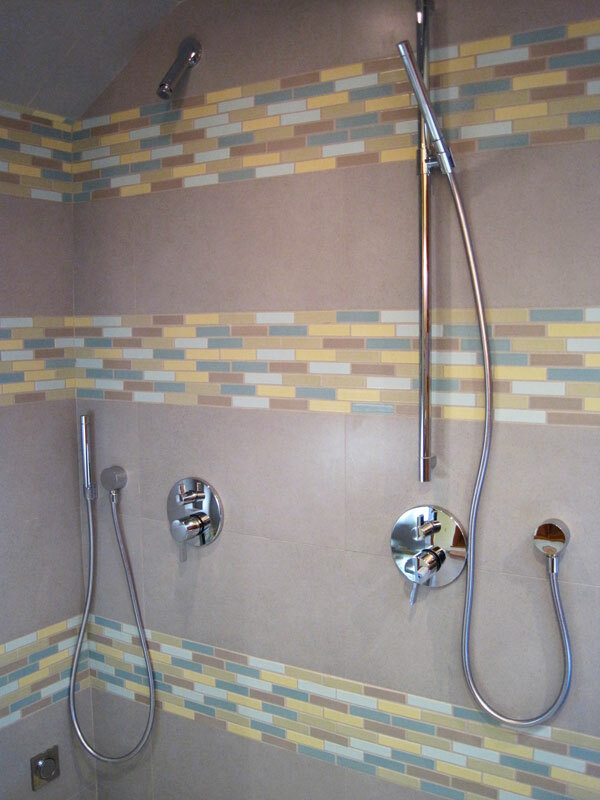 A steam shower with frameless enclosure and deep soaking tub add to the spa feel.